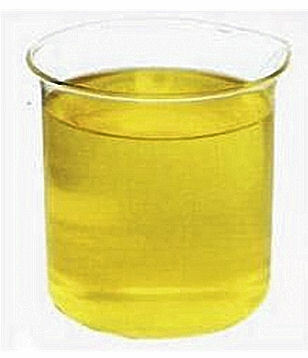 Corn oil is extracted from the germs of corn grains and is widely used as a cooking oil and for margarine, as well as for soap, paints, inks and varnishes, and many other uses. One bushel of corn at 15.5% moisture by weight - corresponding to 56 lb or 25.4 kg - contains 1.55 pounds of corn oil (2.8% by weight). In the corn starch process, the corn is moistened by steeping and the germ is released by gentle milling. 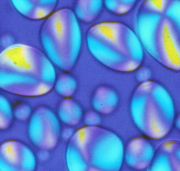 The low density corn germ is separated from the starch slurry. The germs contain about 85% of corn's oil. The germs are washed to remove adhering starch. By mechanical and solvent processes the oil is extracted from the germ and refined. The germ residue is dried and used as animal feed. The starch mill may do the oil extraction and refining, but often these operations are carried out on dedicated oil refineries.